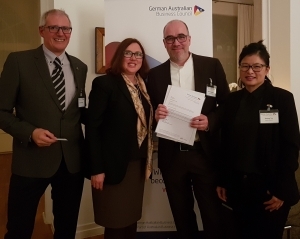 The German Australian Business Council celebrated the festive season in Frankfurt with an evening reception at the Australian Consul-General’s residence on the 6th of December, 2018. 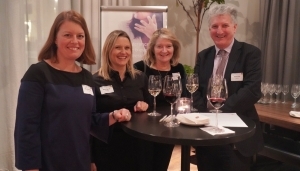 We were delighted to welcome representatives of the Sydney Symphony orchestra: CEO Emma Dunch, Director of Artistic Planning, Raff Wilson, and Director of External Affairs, Lizzi Nicholl to the event in conjunction with the 2018 Sydney Symphony Orchestra’s European Tour. 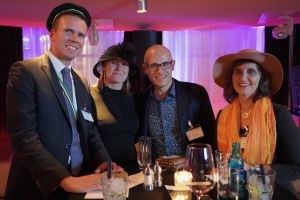 On the 6th of November 2018, members and friends of the German Australian Business Council gathered at the Mantis Roofgarden in Frankfurt to embrace the essence of the Melbourne Spring Racing Carnival. 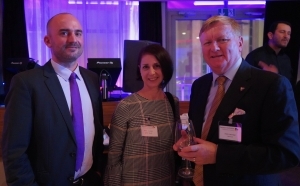 Guests enjoyed an Aussie-style BBQ buffet combined with numerous alcoholic beverages while delightfully socializing within the wonderfully lit atmospheric venue. 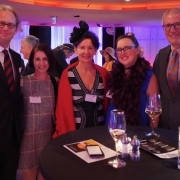 Congratulations to Oliver Schmidt who was the lucky winner of our sweepstake, tickets for two from the VRC to the Melbourne Cup Carnival 2019. 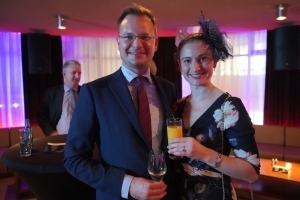 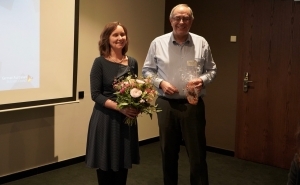 Other stylish winners for the best dressed male and female were: Mr Robert Retz and Mrs Claudia Enke who were presented with a 50€ gift voucher kindly sponsored by the Australien Shop Frankfurt. 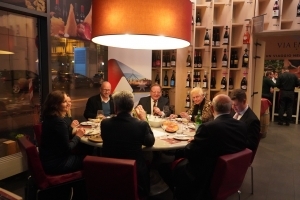 The German Australian Business Council expresses great appreciation to our generous sponsors and partners for this successful evening: Aesop, Australien Shop Frankfurt, Victoria Racing Club and Visit Victoria. 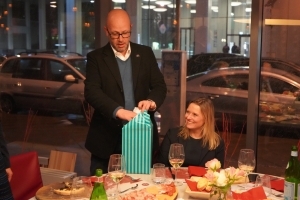 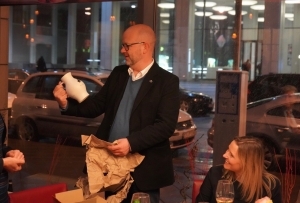 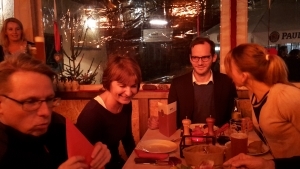 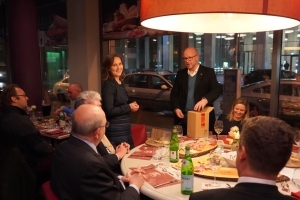 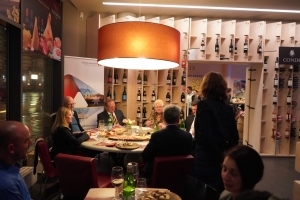 On Tuesday, the 11th of December, the Munich Chapter of the German Australian Business Council enjoyed an early Christmas dinner at Zum Straubinger. 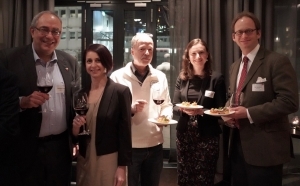 With cheer abounding, we were joined by 15 members and friends to celebrate 2018. 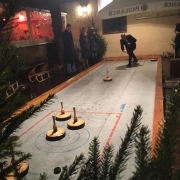 The evening was capped off was some spirited Eisstockschießen competition and Gluhwein with both the red and blue teams performing very well! 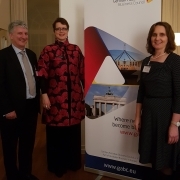 We thank all those who have been a part of the German Australian Business Council Events in Munich this year and wish everyone a Guten Rutsch into 2019! 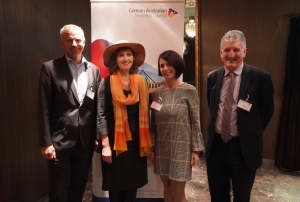 German Australian Business Council Board Members, The Hon. 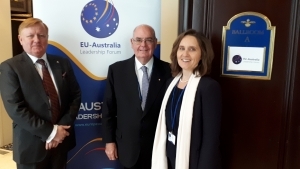 André Haermeyer and Sabine Pittrof attended the EU-Australia Senior Leaders Forum in Brussels. 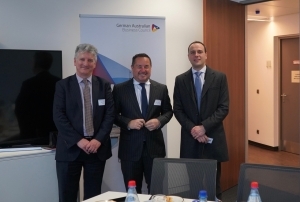 Sponsored by the EU and supported by the Australian government, the Forum brought together European and Australian leaders to discuss a wide range of topics concerning today’s world, ranging from geo-political challenges to digitalisation, environment and the proposed Free Trade Agreement between the EU and Australia. 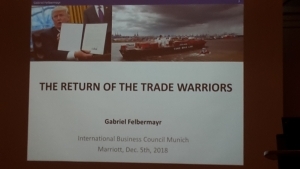 The Forum provided an excellent opportunity for leaders from both continents to exchange information and learn from each other’s experience. 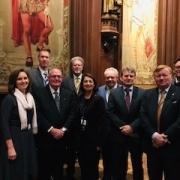 The photos show Board Members with Patron emeritus David Ritchie (below) and a group shot of the German delegates to the Forum in the Brussels Town Hall (cover photo). 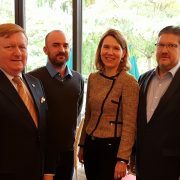 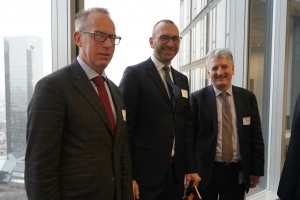 On 2 October 2018, the German Australian Business Council invited members and friends to an exclusive breakfast briefing in Frankfurt with Ms Alexandra Voss, Executive Director of the German-Australian Chamber of Industry and Commerce (AHK Australia). 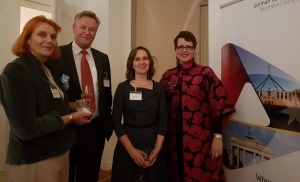 Prior to her appointment as the new AHK Executive Director earlier this year, Ms Voss was the Chief Representative of the Delegation of German Industry and Commerce and Managing Director of the German Chamber of Commerce in Beijing. 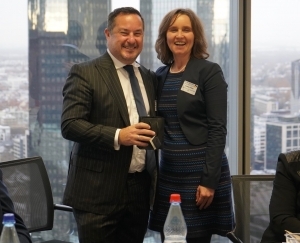 The AHK Australia, with offices in Sydney and Melbourne, has over 40 years of experience and a competent team of experts and partners who can deal with all facets of the Australian market. 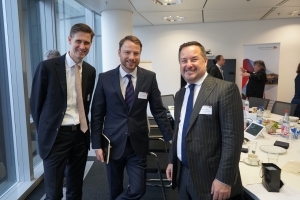 The event provoked lively discussion over an enjoyable German breakfast. 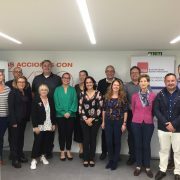 The representatives of the Australian Business In Europe (ABIE) groups met in Madrid on October 19th and 20th, 2018 to discuss how to further improve the relationship between the member national groups and to plan future common activities and events. 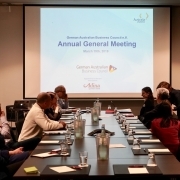 The meeting was organized by ASBA (Spain) with participants from Australia, Bulgaria, Czech Republic, France, Germany, Luxembourg, Netherlands, Spain and the UK. 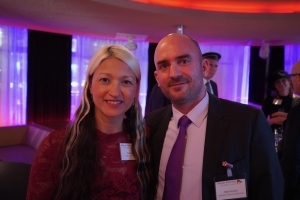 The Australian Ambassador to Spain, H.E. 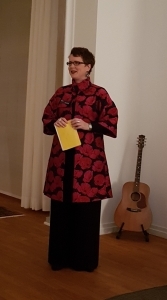 Ms. Julie-Ann Guivarra invited the participants for pre-dinner drinks at her residence and also attended the meeting for two hours to discuss the EU-AUS Free Trade Agreement, which is still in the negotiation phase. 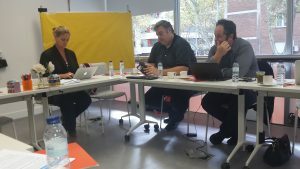 ABIE groups were asked to give their country-specific input to the drafting team. 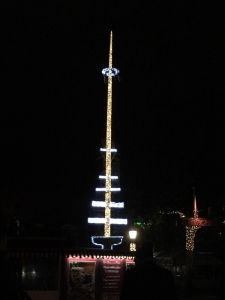 (ABIE France and GABC have already sent their submissions). 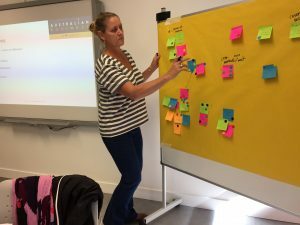 Best practice workshops were held on various topics of interest. 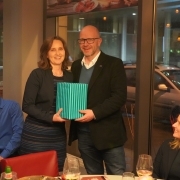 It was agreed that the joint website www.abie.eu is a popular site and an excellent platform to share information internationally. 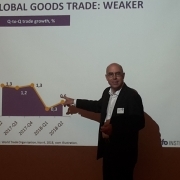 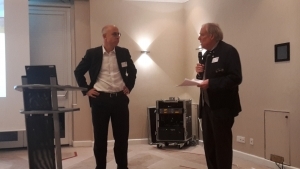 GABC Board member Eberhard Goihl, who attended the meetings, summarised the event as a well-structured and very productive. 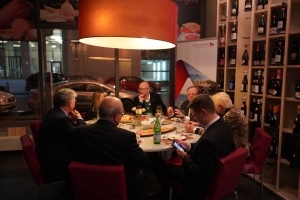 The meeting provided a strong base for further activities and multinational collaboration.